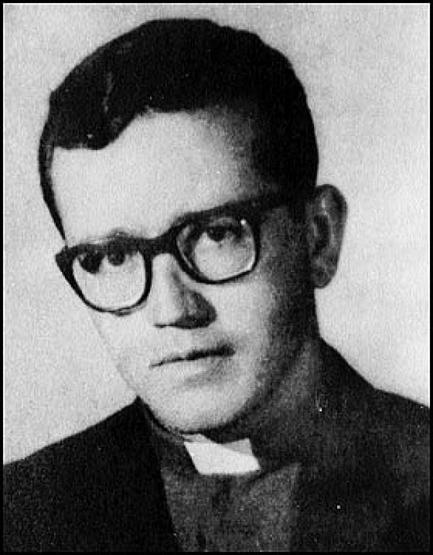 Father Héctor Gallego, who was disappeared by Panama’s former dictatorship for preaching the universal worth of human beings and for starting a farmers’ cooperative in Santa Fe de Veraguas. He died, but the co-op and his message live on. On December 10, 1948 the United Nations General Assembly approved the Universal Declaration of Human Rights. It was in large part the world’s repudiation of the crimes committed during the Second World War and a vindication of the rights that had been trampled. The committee in charge of drafting the declaration was headed by US delegate Eleanor Roosevelt and the document’s principal author was Canadian delegate John Peters Humphrey. So often a broken promise in the years since then, its principles state the foundation for much of today’s international law and are considered viable and enforceable standards by the courts of many nations. But it only gets honored — or degraded — depending on what living people in all nations and all walks of life do.